If you're like most people, you keep your smartphone by your side. From checking emails to tweets, and making social updates, it's hard not to be tethered to your device. Mobile devices are great for taking photos and videos, but have you ever thought about creating a vlog with your smartphone or even your tablet? “A vlog?” you ask. But of course! Your mobile device probably captures high quality HD video, so why are you using it to only capture family moments? More and more people are interested in using their smartphones to create quality content that can be shared socially, and it's a more affordable and accessible video production solution and is always with you. A vlog simply is a blog with video, and you can easily turn your blog into a vlog by embedding a video within a post. All you need is an account on a video streaming site like YouTube and you're good to go. Video is one of the most compelling and engaging types of media. It can help you establish authority, build your influence, and raise the engagement level on your site. Talking Head: A talking head vlog is just that, you sit in front of the camera and talk about a certain topic or shares some information (see video below). How-To: A how-to vlog teaches the audience how to do something by demonstrating the action or activity. Adventure/Reality: You go on an adventure or activity outside of the studio and take the camera along to record what you see and hear. To create a high quality vlog, you should use the same equipment that is used with professional video productions. You'll need: a camera or your mobile device, a tripod, lights, a microphone, and a cable or two. 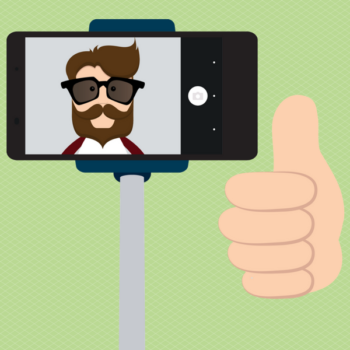 Let's assume that you have a mobile device that captures video, so the camera is covered. A tripod is a three-legged stabilization mount that ensures the shot is still and steady. Entry-level tripods cost around $30, and most electronic stores that sell cameras also sell tripods. To create really smooth movements, a fluid tripod is needed. But wait! You probably noticed that there's no way to connect a tripod to a smartphone. You'll also need a tripod adaptor like the Glif (iPhone only) or this universal tripod adaptor that works with both Android devices and iPhones. If you have an iPhone and want the flexibility of adding additional lenses, there is a device called the Phocus which in addition to having a tripod attachment, it has a wide angle, macro and telephoto lens that can give you some creative flexibility while shooting. If you're just starting with video, light can be more challenging especially if you're indoors, but you should always use some kind of light source because it will improve the quality of the image. Use lamps or lights that you already have. Consider replacing your incandescent bulbs with compact fluorescent bulbs (CFLs). CFLs are either balanced for daylight (5000K) which will be a whiter or bluer light, or will be orange-ish which is a characteristic of artificial light (3200K). You'll probably need a minimum of at least two lights if you're lighting a person. The main light will create general illumination and the second light should be placed opposite the main light to fill in the shadows. Audio is very important which is why you should connect a microphone to your mobile device. If you're shooting a talking head vlog, a lavaliere or clip on lapel mic will work just fine. 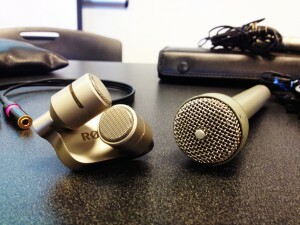 But, be sure to use a TRRS (4-pin) cable to connect the mic to your device's headphone/mic jack. A great site for TRRS cables is KVConnection.com, and many TRRS cables also allow you to connect headphones so that you can monitor the audio after it has been recorded. Many pros also recommend the iRig Pre to connect a mic to an iOS or Android. There are also a number of mics that are designed for mobile devices like the iRig, smartLav, and iXY. Check out this master list for all of the gear that is referenced above and more. So, now that you're geared up, you're just about ready to shoot your video. 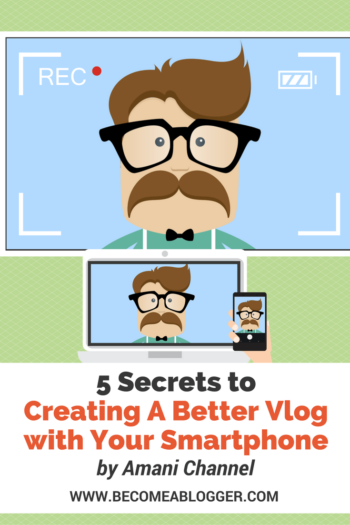 Here are 5 tips to help you create a high quality vlog. #1 Shoot in airplane mode. If you don't, a phone call, or notification will interrupt your recording. #2 Orient your phone horizontally. 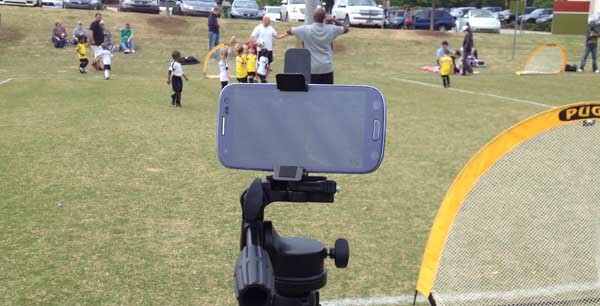 Most people hold their phone vertically when shooting video. Unless you want black bars on the side of your video, hold it horizontally. #3 Record test footage especially if you're self shooting. 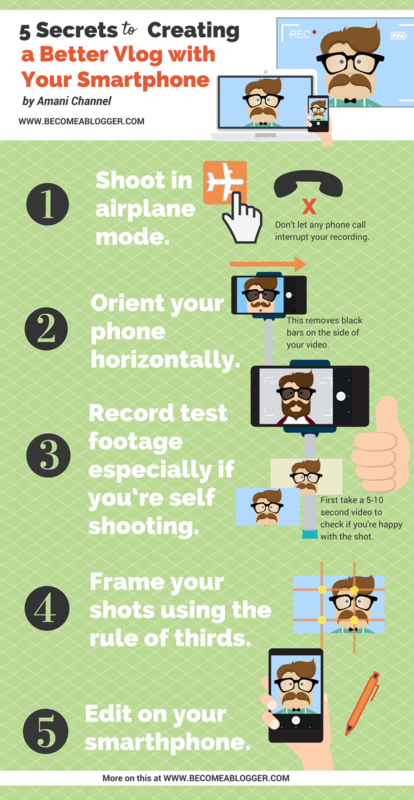 Shoot 5 – 10 seconds of video and check the shot to make sure it looks as you desire. Once you are happy with the shot, you're ready to record. #4 Frame your shots using the rule of thirds. The rule of thirds is a composition rule that uses a tic-tac-toe like grid as a guide to frame your subject. Place the subject along the guide lines and your shot should look more professional. #5 Edit on your smarthphone. iOS devices especially have great video apps, and if you have a new iPhone 5s or 5C, it comes with a great app called iMovie. 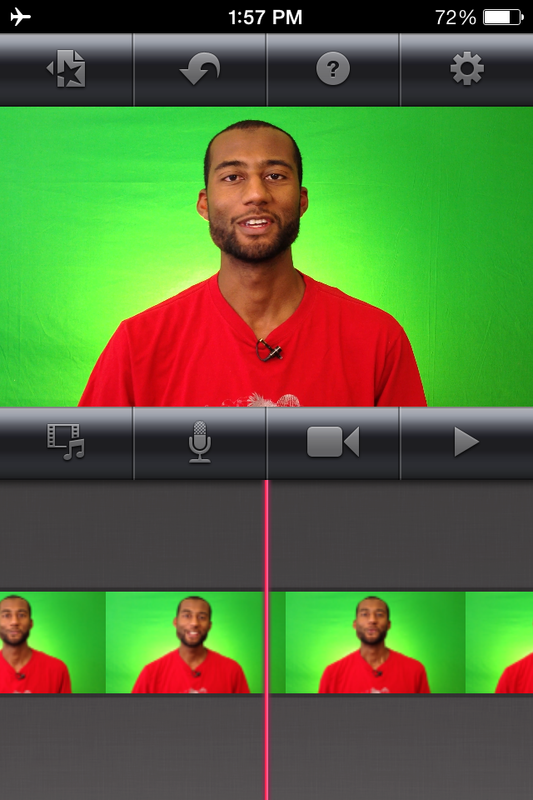 You can edit clips together, add text, narration and music with a few swipes of a finger. Oh, here's a bonus tip – be creative and have fun! Video production takes a bit of work no matter how easy you think it is. Your first video will be the most challenging, but like anything, the more you do it, the better you will get. So, what is your biggest challenge when it comes to creating professional looking videos? It was a great post and well timed as I am thinking of starting a vlog for my website. Using my galaxy note will save me the expense of a camcorder. Thanks alot. Ps. Did you ever teach at uwi? I live in Georgia and teach at Kennesaw State right now and also taught at the Univ. of West Ga. Glad you found the info helpful! Very informative post. I will check out your guide also. Thanks Dave! Let me know how you like it! You’re welcome Tehmina! Have you produced any videos? Great video, amazing what we can do with a Mobile. Just put together a basic set up at my home office and look forward to trying out some of these techniques. By the way love Kennesaw Mountains. Spent last summer in Dallas and Marrietta (sp think) with my wife and 3 children. Loved Marrietta Pizza (miss it) the lakes and Frisbee golf. Excellent post! I am starting to do video for my content marketing firm and I am excited! The thing is I am confused about the microphone and cable connection. I plan on shooting a lot of video outside and a few feet away from the camera. So do I need a wireless mic? I just purchased a mic but it’s not wireless. Any suggestions? You can go either route depending on what look you’re going for. I have done video with a handheld mic before. It gives more of a reporter feel. However, for videos where it’s just me talking, I prefer to use a lavalier mic. That way you hardly see the mic, but the audio quality is great. It all depends on the feel you want. You are very much welcome. Yep, the iPhone is a pretty handy device and you can do all kinds of cool things with it. In terms of the Bluetooth earpiece, I don’t think you’re able to do that. Also, even if you were, I wouldn’t recommend it. There are different factors that would interfere with the quality of the audio. I would recommend using a wired lapel mic like the Rode Smartlav. Great tips. Shooting a video for my blog for the first time, today. I’ll let you know how it turns out. Thanks! You’re Welcome!!! Let me know if you have any questions. How should I connect a microphone with an android phone? The RODE smartLav+ connects to you headphone jack. I am planning to make some vlogs in the near future but don’t know how to attract people. We are a video a production company who specialize in the hospitality and tourism industry and we use a technique which is a hybrid version of vlogging. The problem with vlogging is that it really only gives one side of the story and most people would like a second opinion. We use an informal interview technique to give that second opinion and this has lead to 100,000+ views on a single video on youtube and facebook. Good luck with your vlogging, my advice is start slow and plan your story and the shoot before you hit the record button. Hi, I know this is irrelevant to the post but you have 2 PHP errors at the top of your site. Great advice! Although I would recommend something other than iMovie to edit videos! I have found that it moves SOOOO SLOW… so time consuming. And after alot of research it seems like many others have experienced that issue as well. SO I tried another program and find it is alot more efficient than iMovie… it’s called Wondershare Filmora. It cost me $60 to download it but honestly it was worth every penny for the amount of time and stress I’m saving for myself. Just thought I would share and I hope it helps someone out there. How can we attract more audience to our vlog if we are not famous ? The same way you build any business – one day at a time. It takes a lot of work. Remember – the people who are famous weren’t always famous. They had to get there one day at a time. Some start with advantages that help them. But in MANY cases, it came through consistent hard work.